Note: This story was last updated at 6 p.m. Feb. 4. A man is facing charges after crashing a Volkswagen Beetle into the side of Dunkin’ Donuts in Oak Ridge on Wednesday afternoon, authorities said. 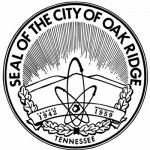 Officers charged the man, Matthew Ketron, 32, of Knoxville, with two counts of reckless endangerment and driving under the influence, the Oak Ridge Police Department said. The crash was reported at about 2:50 p.m. Wednesday. At least five people were inside Dunkin’ Donuts at the time, the ORPD said. Two customers were treated for injuries and released at the scene. Officers said the building, which is in a small shopping center on Oak Ridge Turnpike, was heavily damaged. The yellow 2000 Volkswagen Beetle crashed into a side wall, between the drive-through window and the glass at the front of Dunkin’ Donuts. But it’s not clear whether the driver had stopped at the drive-through. Dunkin’ Donuts shift leader John Pechim said he was making coffee when he heard a loud crash and saw the VW in the lobby. “Luckily, there was no one sitting there,” Pechim said. Michael Phillips was eating nearby at Which Wich at the time. “I heard a big boom,” Phillips said. Several people said the driver apologized to people inside Dunkin’ Donuts. Customer Julie Loguillo was there with her daughter and they were sitting in a booth close to where the VW crashed through the sheetrock-and-sheet-metal wall. The driver sat in the car for a minute and then got out and asked if everyone was okay, Loguillo said. He had a few cuts on his face, she said. Authorities said Dunkin’ Donuts will be closed the rest of the day. Pechim said the district manager was on his way to assess the damage. Ketron remained jailed at the Anderson County Detention Facility in Clinton on Thursday afternoon.